Consumer Tier: Provides a collection of Application Programming Interfaces (APIs). These APIs include a Java API, Java Server Page (JSP) Tag Library (taglib) and a WSDL-based web service. Framework Tier: Provides core operation facilities such as configuration, context management, attribute translation, service management and logging. Service Tier: Defines a service provider interface (SPI) to back-end provisioning solutions. Project OpenPTK is a set of tools that Web developers and Java developers can use to create custom identity focused applications . 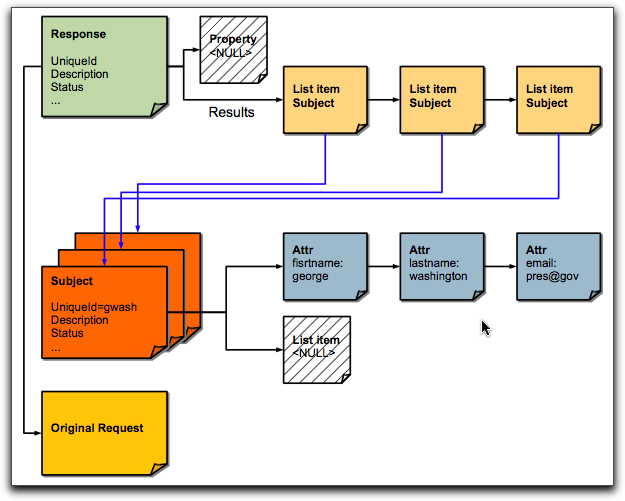 Project OpenPTK provides an abstraction to the back-end services. Developers don't need to worry about the details of a specific provisioning interface. Project OpenPTK allows the developer to focus on the end-user (presentation tier) interface of their application. Project OpenPTK's Consumer Tier provides interfaces that use abstract representations of identity Subjects (e.g. People). Project OpenPTK is designed using a messaging architecture where requests/responses are passed from the Consumer Tier, through the Framework Tier, to the Service Tier, and back again. The Framework Tier handles the incoming messages (Requests), sends them to the configured back-end Service, and handles the return of messages (Responses). Web developers and Portal developers can leverage the Consumer Tier's Java Server Pages (JSP) Tag Library to easily implement provisioning functions. Applications built using the Consumer Tier interfaces are separated from the actual provisioning back-end implementation. A single application can be built that uses one or more back-end Services. Mapping of Netbeans projects to Java packages (if applicable) and then to output artifacts. Project OpenPTK's Consumer Tier provides a collection of utilities, services and APIs that communicate with the Framework Tier abstracted components. The Consumer Tier provides a Java Server Pages Tag Library (taglib) that is used by Web page designers to perform provisioning tasks. A set of Java APIs are exposed at this tier which allows the Java developer to leverage Project OpenPTK. The Web Service allows other Web Service-based client applications to access Project OpenPTK through the use of standards based XML/SOAP and a WSDL. A web-site developers usually focus on the user experiences, site navigation and the applications "look and feel". One way to access Java APIs are to insert actual Java code into a Java Server Page (JSP). This is not considered to be a "best practice", it merges complex business/technical logic into the Presentation Tier (HTML/JSP). This makes the application hard to maintain and some Web developers may not be comfortable having Java code embedded within a web page. Most of the tags will set the variable ptkError to String that has a length greater than 1. <%@taglib ...> maps Project OpenPTK's taglib to the prefix name of "ptk". <ptk:setConfiguration ...> establish preferences and connectivity to back-end systems through the use of a property file. <ptk:setSubject ...> defines a "person" subject, given the name "varsubject". <ptk:setInput ...> defines a "input" object. The input object is used to hold information that will be used by one of the provisioning tags. <ptk:setAttribute ...> used to define attributes (key/value) that are added to the Input. <ptk:doCreate ...> This tag performs the provisioning operation. This tag performs the create operation of the subject. The results of the tag's operation is returned in an output object. All of the tags are implemented in the org.openptk.provision.taglib Java package. The diagram below lists all the tags in the library. Each tag sub-classes a base class called ProvisionTag. The ProvisionTag abstract class defines a common set of variables and methods that are used by all of the tags. 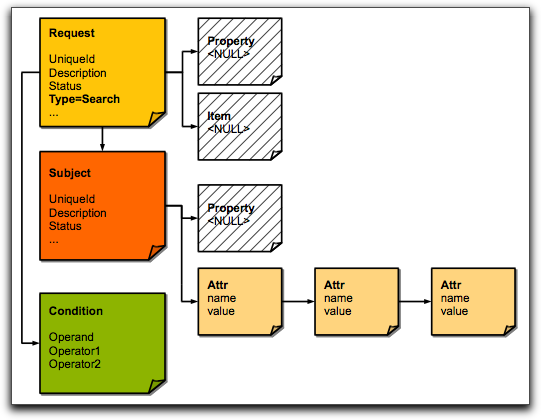 The ProvisionTag supports the JSP taglib architecture by extending the SimpleTagSupport class. Developers that want to create new provisioning tags should extend the ProvisionTag class. -h                --  Show usage information. User Admin A simple to use interface for managing users in the repository. User can be created, updated, deleted. The administrator can also change or reset the users password.